Sarasota Dentistry offers our patients a comprehensive array of general dentistry. The importance of preventative dental care cannot be understated – and prevention is the focus of general dentistry. Visiting your dentist on a regular basis for professional teeth cleanings and routine checkups is essential to your oral health. Avoiding cavities, jaw issues, and other problems that may develop can make treatment easier and more cost effective. Sarasota Dentistry provides general dental care that keeps your teeth healthy and your smile shining. Our team is focused on building long-term relationships with our patients. Many dentists offer general dentistry in Sarasota. We understand it’s important to set ourselves apart. Dr. Hank and the Sarasota Dentistry team are passionate about dental care — your smile is our reason for celebration. Dentistry is a field where you can have a positive impact on people’s lives – this is why we do what we do. We care about our patients and take the necessary steps to make them as comfortable as possible when they visit our office. Dental checkups are usually performed every 6 months. At Sarasota Dentistry, a checkup includes checking for cavities and gum disease, and also a thorough teeth cleaning if necessary. We'll remove the plaque and tartar from those hard to reach areas between teeth and behind molars. Some patients require more regular dental checkups and cleanings due to periodontal disease or if they build tartar fast. They usually come every 3 to 4 months. Dr. Michael will examine your teeth at each checkup, and dental x-rays are taken yearly to detect decay between teeth. How do you take dental x-rays? Some patients are concerned about dental x-rays, but they are pleased to hear that Sarasota Dentistry utilizes digital dental x-rays which use 90% less radiation than traditional dental x-rays and they are instantaneously displayed on the dental chair-mounted computer monitor. I have sensitive teeth/gums -- what are my options? For some patients, local anesthetic is necessary to make the dental cleaning more comfortable. This is usually because the gums are inflamed and irritated. 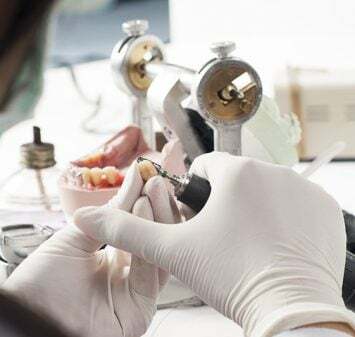 One or two dental cleanings and improved home care usually get the gums healthy and lead to pain-free cleanings in the future, without anesthetic. How important is my at-home dental hygiene? Let's start with the question, Why should I floss my teeth? Over 300 species of bacteria reside in the mouth at all times. Some of these bacteria thrive in-between the gums and the tooth and some thrive between teeth and in crevices within the tooth. In the early stages, these bacteria colonize your teeth and are called plaque. These colonies are soft and can easily be physically disrupted with floss, tooth brush, or other dental cleaning devices. It is important to disrupt these plaque colonies early in their development or they will progress into a calcified plaque called tartar. What is the purpose of a fluoride treatment? Fluoride treatments are most commonly used as a means of desensitizing exposed root surfaces here at the office of Dr. Hank D. Michael. If you have an exposed root surface near your gum line that is causing intense sensitivity to hot or cold, a fluoride treatment can help to seal off the tubules that are causing you to have that pain. The fluoride varnish comes in a white tooth-colored gel that we paint onto the affected area. The gel hardens onto your tooth and releases concentrated fluoride onto root surfaces to seal off dentin tubules on your roots and relieve your hypersensitivity. For the best results you should leave the fluoride varnish on your teeth for a 4 to 6 hour treatment period. The varnish is easily removed by thorough brushing and flossing, after treatment is complete. After leaving the office, try to eat a soft food diet during the treatment and avoid hot drinks and products containing alcohol (i.e. : beverages, oral rinses, etc.). Fluoride treatments can also be used to prevent or slow tooth decay. Some patients are more susceptible to decay for various reasons. Reasons may include: xerostomia (dry mouth), increased sugar intake (high calorie drinks or throat lozenges (containing sugar), deep crevices and grooves in the teeth, and poor oral hygiene. Regardless of the reason, fluoride works wonders by binding with the tooth enamel making it harder for dental bacteria to dissolve. In addition, fluoride inhibits plaque's ability to breakdown sugars - slowing the negative affects of the dental plaque. How do Multiple Teeth Dental Implants work? "You deserve to live everyday with a confident, naturally beautiful and healthy smile. Revealing that smile is Dr. Hank Michael's mission as your trusted dentist at Sarasota Dentistry."